The news dropped on wednesday morning (26 Sep). The expected PCC newsletter turned out to be the worst possible: the PCC is closing. Not unexpected, of course. It was abandoned by playmobil for months and months. Not much news. Site not updated for weeks and weeks at a time. Questions left unanswered. Polls no longer held for DS. No special sale. No PCC Tour this year, later becoming "no more PCC Tours". And then rumors of the 10% discount at official stores (that I am sure german members enjoyed) being discontinued. Somehow, I still wasn't ready for something so... final. I suppose playmobil wants nothing to do with us collectors. That much is clear. It hurts. 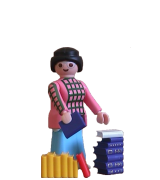 The PCC was never promoted by playmobil - there are 3rd party logos (HUGE logos) on the playmoboxes, but no sign of the PCC... Of the many discussions that sprouted on this subject, there is a recurring question: "what is the PCC?" - which kinda proves this. I wonder if it was NEVER meant to last. A depressing thought. The "technical problems" may be presented as an excuse, but let's face it - a free lousy platform that doesn't decide what it wants to be and therefore ends up being all over the place and good at nothing... what kind of a choice was that? And problems with paypal?! Seriously? Small time shops integrate paypal fine. And playmobil can't? No... they WON'T. Which is unfortunately a whole different matter. While there were issues with the PCC (these were discussed to death by now), it was wonderful while it lasted. It was a HUGE step in the right direction. 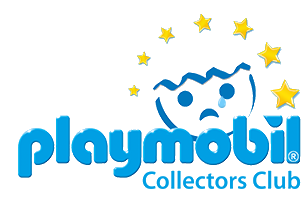 There were welcoming and annual gifts, news about novelties and exclusives, an official place to interact not only with other collectors but with playmobil itself (even if the platform only offered a very lame "forum"), interviews with playmorelevant people, competitions and raffles, the special sale, and lets not forget the amazing PCC Tours... I will never forget the ones I was a part of - I have no words to describe them. And also the load of content collectors posted on the PCC - photos, videos and blog posts. Alas, it was not deemed worthwhile. I believe the biggest loss here is one of "principle". We will do without annual gifts. I suppose we will find out about all the novelties, sooner or later. We will keep in touch in the forums and OTHER sites. And while the PCC sale was an amazing way to get some sets (particularly for the small part of the world with access to an online store AND the sale), I find that ours is a great community, covering the entire world (feel free to join us over at playmofriends). So it is usually possible to find a fellow collector willing to help to get something. Yes, the benefits were great, but I think the main point of the PCC was... being. 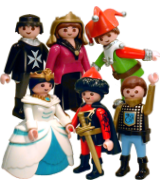 It was a token of acknowledgment from playmobil regarding collectors. An official way to directly get in touch with playmobil. I fear this was the end of any effort from playmobil to cater to us collectors. I may be wrong. I VERY much hope I am wrong. I am sure the PCC team did what they could with what they had. I believe they just had the rug pulled from under them with the changes in the company. They were the face of the PCC to us collectors - not an easy task, especially when it began to fall apart. I will finish with my deepest thanks to all the PCC team, and all the members that helped less fortunate collectors obtaining items from the special sale - though I had access to the sale via the iberia site, I do appreciate everything they did to fulfill all those orders. I cannot imagine the hours and effort it took. Goodbye PCC. You will be missed.